Uruguay or Brazil: which country is more expensive? This comparison of travel costs between Brazil and Uruguay examines average prices across multiple categories. Please visit each country's individual budget page for more detailed information. Should you visit Uruguay or Brazil? As travel costs are compared, Uruguay is more expensive than Brazil. Uruguay is actually one of the most expensive travel destinations in South America, while Brazil has plenty of affordable destinations. Both countries offer beautiful beaches and plenty of activities for visitors. 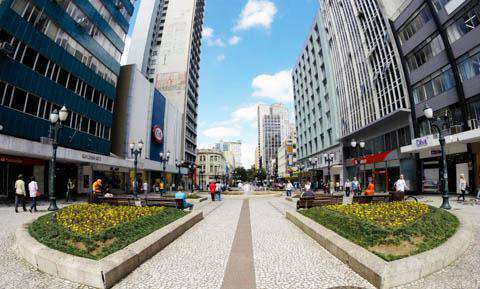 If you decide to travel to Rio de Janeiro, you will discover a very exciting atmosphere. You can relax on the beaches of Ipanema and Copacabana, experience the Brazilian party scene, enjoy the view of the city from the Christ Redeemer on Corcovado Hill or learn more about Rio's historical past. And depending of the season, you can even take part in the Rio Carnival or the Oktoberfest. Rio de Janeiro is a large city, which can be a little overwhelming for visitors who are travelling for a getaway from a chaotic city or environment. The Iguazu Waterfalls and Its 275 individual waterfalls spread over 3 km are a completely unique natural wonder. Just next to the waterfalls, you can also see visit the bird park and discover some beautiful birds such as the Hyacinth Macaw and toucans. When is the best time to visit Uruguay and Brazil? Brazil is made up of several climatic extremes, none of which are severe enough to prevent travel to any part of the country at any given time. Across the country, the warmest months are November to March, also a perfect time for enjoying New Year and Carnival celebrations. The northeastern coast experiences some rain in June and July, but usually only in the form of afternoon showers. The Pantanal's driest months between April and October are a good time to visit Brazil, but like in the Amazon, its wetter months offer distinct wildlife spotting opportunities and experiences. While Brazil is an all year round destination, the time you decide to visit can be relevant depending on the activities you have planned. Mid-summer, between January and March has warmer days that are accompanied by the start of the rains in the Amazon and the Pantanal. February is a particularly popular time for Brazilians to travel, as the Carnival often falls in this month. April and May are a great time to travel as the high temperatures of the last few months are starting to decrease and the Pantanal enters in its dry season towards the end of April. In June and July, evenings are cooler, but the air is fresh and the sea is still warm, which makes it a perfect time to explore the Green Coast between Rio and Sao Paulo. As June arrives, so does Bahia's rainy season, but it is usually fine to plan your day around the few afternoon showers. The best time to visit Rio is perhaps in August, September or October, when spring is arriving, there are few clouds in the sky and the temperatures are on the rise. During the summer months you can expect high temperatures across the country. Rio de Janeiro tends to be hot and dry in November and December, but it can be particularly busy as visitors flock to the city to celebrate Christmas and New Year. Most of the northeast tends to experience similar hot and dry weather, which also makes the water levels in the Amazon very low in December. Why is Uruguay more expensive than Brazil? The trendy resorts on the Uruguayan Atlantic coast, such as Punta del Este and Jose Ignacio are stunning but the prices are eye-wateringly high. These places are aimed at the local and international celebrities who vacation there, not backpackers on a tight budget. Make no mistake; prices in Uruguay are close to 'Western' prices and you should budget accordingly. In recent years, the Brazilian economy has boomed. As a result, increased wealth and inflation have augmented the prices. However it is difficult for some to keep up with the prices and the country's economic expansion is not necessarily benefiting the lower classes. While some services are less expensive in other areas of the country, food and transportation are quite costly around many areas in Brazil and especially in big cities including Rio de Janeiro and Sao Paulo. Therefore research, plan and budget accordingly as you don't want to find yourself short of money while visiting. 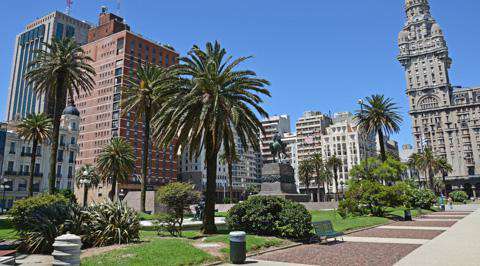 What are the most expensive and cheapest cities and regions in Uruguay and Brazil? In Brazil, the Northeast and Southeast are the most expensive regions of the country. Northeast is the Brazilian region with the largest coastline of the country, which makes the region very appealing to tourists around the world. They are a very important source of income for the Northeast, thousands of foreign and Brazilian tourists visit the Northeast annually in search of beautiful beaches, views and sun. The Southeast is the vital center of the country, where the largest cities, the highest population density, and the best ports are concentrated. It's the most important industrial, commercial and financial region of Brazil. 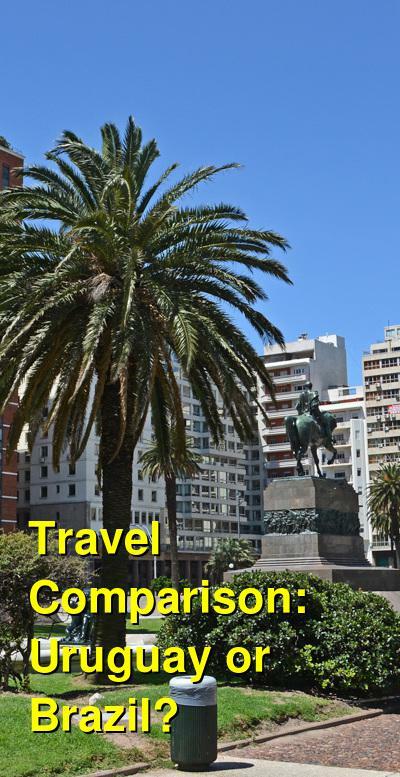 How you can save money when visiting Uruguay and Brazil? You should also agree on taxi prices for your journey with the taxi driver before setting off but taking the bus is much better most of the time. You can use couchsurfing for accommodation, which connects you with locals who will give you not only a free place to stay, but also a local tour guide who can introduce you to all the great places to see. If you prefer to stay in a hotel get a double room. In Brazil, you will pay a premium for a single room, almost twice the cost of a double. Pair up with a friend to halve the cost of your accommodation if you're not keen on staying in a dorm. Finally, if you can, travel off season if you want to keep prices low.